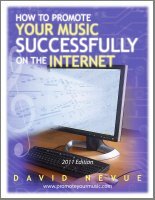 an essential blog for independent artists, musicians and bands promoting music on the internet. Sirius XM in Perspective: Winners and Losers by Paul Resnikoff. The freshly-combined Sirius XM Radio shifts the radio landscape somewhat, though the broader impact on the music and media terrain will be modest. The days of four TV channels and ten radio stations is over - consumers now have more options than they can possibly handle, and that makes it difficult for any one company to dominate. And now that approvals have been granted, there are more winners than losers.